You thought Chantecaille's L'Éléphant Palette was so fabulous it was enough to make a fall collection, as I did? No, the treasures will continue. Have you ever seen a cuter Cheek Shade? Fun ($38), Chantecaille's fall shade in the first refillable Cheek Shade single compact, is a soft apricot with a slight shimmer. Formulated with vitamins A, C, and E, the anti-aging formula adheres beautifully to the skin, lending a touch of color to the cheeks. How are we going to wait patiently for this? I want it now! The best-selling Lip Chics ($35) are back, this time in Amour and Isis. This highly emollient lip formula offers the even coverage of a lipstick with the high shine and plumping effects of a gloss - my kind of lip color. Added collagen gives the lips a boost, leaving them fuller and with a decidedly more youthful appearance. Amour is a soft pink that pairs perfectly with a season's rich eye makeup. Isis is a shimmering light bronze, reminiscent of the colors of the African Savannah during the dry season. Fig Luminous Lip Gloss ($34) is an earthy berry, a perfect fall addition to Chantecaille's Luminous Gloss Collection - one of my favorite lip shades. Loved for its superior adherence and rich texture, Luminous Glosses contain innovative polymers that create a fluid 3-D, glass-like effect for volume and shine. Water binding Pyrolidonic Carboxylic Acid hydrates and smoothes for greater comfort and up to six hours of wear. Another must-have will be Bronze Gel Eye Liner ($33), a shimmering copper brown shade from the best-selling Gel Eye Liner Collection. Straight from the runways, this eye-opening shade will add an air of romance and seduction to any look. 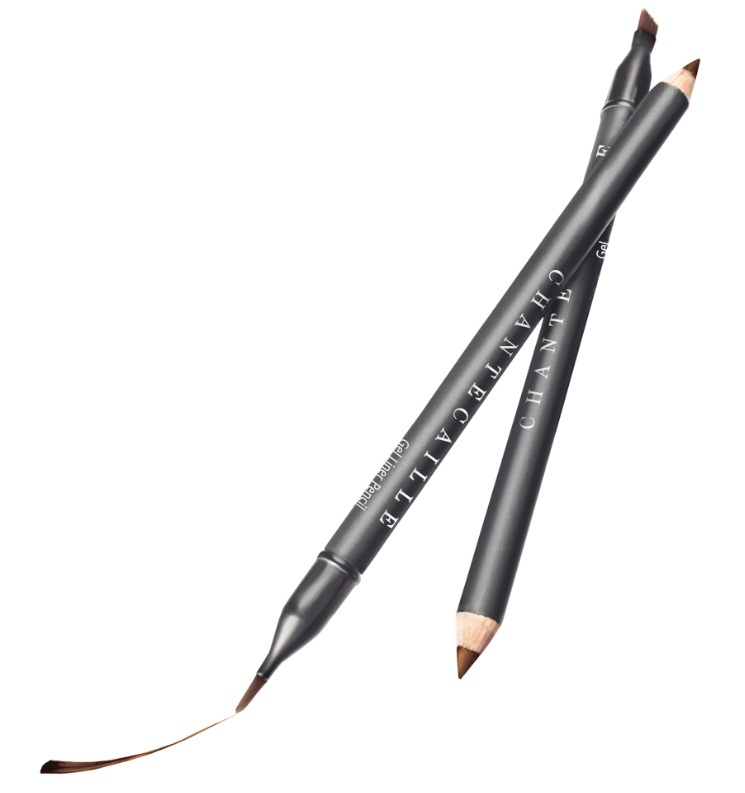 It's the ideal complement to L'Éléphant Palette. I must have everything in this collection, and I'll be buying multiples of everything. This is the most exciting fall collection so far. Chantecaille's Fall Color Collection will be available in September at Barneys New York, Bergdorf Goodman, Frédéric Fekkai Salons, Neiman Marcus, SPACE.NK, select Saks stores, Bloomingdale's, and Nordstrom locations, along with Chantecaille's wonderful Web site. Don't forget the centerpiece L'Éléphant Palette, and if you'd like to adopt a baby elephant, make sure to visit The David Sheldrick Wildlife Trust. Next up, I'll share application guidelines. I'm too excited right now. Can't wait for all the swatches!! Oh my, that blush is gorgeous!!!!!!!!!! I can't wait for this to hit the stores! I'm a big Chantecaille fan as it is, but they really outdid themselves this time! I'm also curious about their new HD powder - their current loose powder is already my favorite, so I wonder how they could even improve it, lol. You've got me hooked on the eyeliner and lipgloss, can't wait to see them! OMG! I need ALL of this right now! Do you know if the blush pan is the same size as the regular Chante eyeshadows? I am just bowled over by this fall collection from Chantecaille and know that I'll be getting the L'Elephant eye palette, cheek palette, and at least one lip color, most probably a Lip Chic, for sure. I'm also interested in the bronze gel pencil if it is truly copper as described. 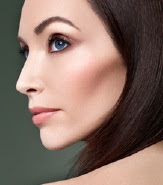 The esthetic of the Safari Collection with its emphasis on smoldering eyes and sculpted cheeks, is so in keeping with my own and, of course, Chantecaille's quality is legendary. I can hardly wait for this to hit the counter. Hi Neo, that blush IS drop-dead gorgeous. It's too cute to use. I'll find out about the powder. Please give me a few days. Evelyn, I need everything - seriously - not just one of each either. Hi Leticia, isn't it darling? I checked with Chantecaille. The blush is the same size as the single eye shadows. We will look just as good as Olivia - tee hee. I love being delusional. Yep, MamaVal, it was 102 when I got in my car this afternoon to come home. I'm still excited because these colors are seasonless to me. I would really love to see swatches of the blush! It might be a nice change to the one I already have. Thank you CG, totally appreciate you looking into the HD powder :)! I'm swooning over the eye palette already, but I hadn't seen 'Fun' yet. Absolutely gorgeous! I wonder if any proceeds from Fun will also benefit the elephants? I'm also loving Amour. Sigh. Can't wait until September! Thanks for this lovely post. I love that Chantecaille supports various wildlife causes. I wish other companies would follow suit. I think I am going to try one of the lip chics, probably in Amour. I will hit the local counter to see what other shades from the permanent collection catch my eye. I am on the lookout for a lipstick that is semi-sheer, shiny (without heavy glitter), and is long-lasting. 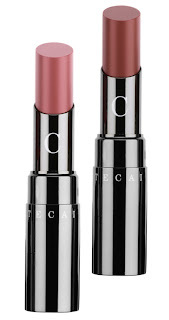 I've been enjoying the RBR Succulence of Dew Sheer Lipsticks, but they are extremely temperature sensitive and have melted even at room temperature. I am keeping my fingers crossed that I have better luck with other lipsticks! Nooo!!! WHY do you have to tempt me, CG?!? I WANT that blush so bad right now, it's insane! I really do enjoy a good apricot blush--it does wonders for making you look so healthy and pretty! Plus that cute design is to-die-for! I'm officially obsessed! I'm a bit behind on life - and blogging. I'll explain why in my Friday Forum. I agree with all of you. This is a must-have collection. You won't find a cuter blush! Walls, lip colors will melt even from car exposure. Put them in the refrigerator to toughen them up. Yes, I've been doing that, Charlestongirl, but even so for some reason the RBR Succulence of Dew lipsticks have turned into a big old mess. I am meticulous when it comes to makeup care and storage: nothing is ever keep anywhere above room temperature and never in direct sunlight. I never leave my beloved makeup in the car, either, and do not have long car commutes... Maybe it's just bad luck, but four out of the five RBR lipsticks I got were melted upon arrival and even immediate refrigeration couldn't salvage them. C'est la vie. Thanks for the advice! Oh, if I'd seen this the other day, I would have asked Eddie today about some of these! He's at my Nordstrom for the anniversary event, and I had a wonderful makeover with him. So sweet. I told him I couldn't wait to see the elephants palette. He was all excited that I knew about it, and promised to do something wonderful for me with it when he's back in the fall. 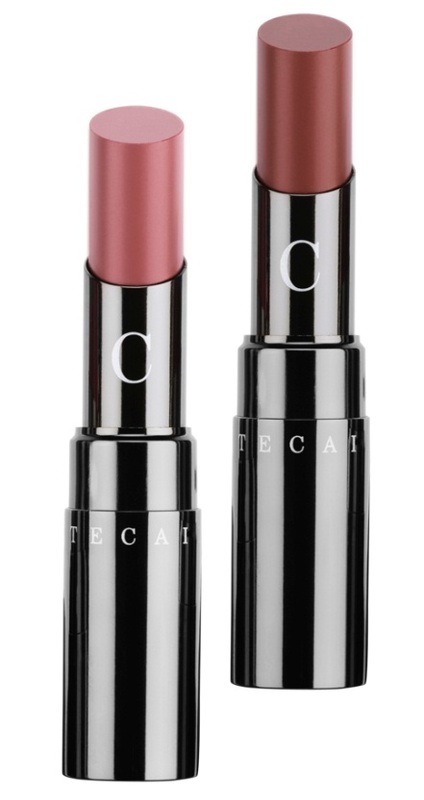 Te Cheeck Shade is listed for $82 on Neiman Marcus!! Yep, Walls. It can happen. I still need to return the two I got recently from Sephora. Haven't been able to get over there. Eddie is such a total sweetheart. I love him! LOL, Anonymous. NM clearly made an error. Chantecaille's own press info says $38. HI! Question about the new Fig gloss - would you say it is a color that could be worn everyday (I usually opt for pinky-nudes)? Looks like such a beautiful shade for fall, I might not be able to resist!